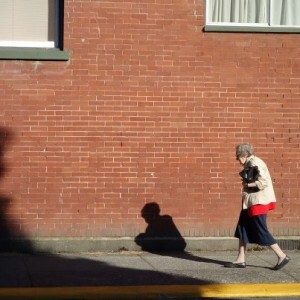 To introduce the series, Ann Cason offers the following contemplation on fearlessness and old age. I once had a friend who told me that his only plan for retirement was death. I meet a lot of older people such as myself who don’t express the fear of dying (after all, it is an innate talent) and its potential for flinging us into the unknown. But they do fear the bardo of a long and lingering aging with chronic illness or lack of funds to make it through. Then there are others who don’t think of it at all. For Shambhalians, I think it wise to use fear as an entry point for contemplative practice or as an entry point into wisdom. Consider what support would be needed for a long chronic old age. With the proper supports for body, speech and mind, we may be able to use our older age as a springboard into fearlessness. Will you be fearless over and over and then relax into fearlessness? Is there a sacred art of aging? What aspects of warriorship do we call upon to meet the challenges of old age? Is it any different than the challenges found in other stages of life? Is fear a smoke screen, one last gasp before our confidence and fearlessness shine through? What kind of support can we gather for ourselves and each other to keep to the path of fearlessness? The Shambhala Working Group on Aging has been asking around. Our oldest sangha member says she didn’t feel old until 90 after she published her first book. Lady Jane Ward has presented an uplifted and positive view of aging through her work in Tai Chi which is manifested in both London and St. Johnsbury, Vermont. There is good communication in Boulder, Halifax and New York through the Shambhala groups on aging. There are older practitioners who sit around with lower life force and enjoy the space to just “be”. Others feel guilty about not doing anything. Some feel the urgency of so little time left to do anything. Ruth Astor, who died of cancer at Karme Choling 10 years ago, was sending out Karme Choling fliers a few nights before she died. Others, fully cognizant, are approaching dying with awareness and a savoring the last few years of life. Others feel irritated and a little woeful at not having what they need in the way of help, and others bristle at the thought that someone thinks they need help. “You think I am geriatric?” my friend asks as she muscles her way into the geriatric medicine office of her doctor. But another older friend who had to go to the emergency room in an ambulance told me that she had learned the importance of keeping her cell phone turned on at night in case someone needed to call her for help. What distinctly Shambhalian view informs our approach to aging and dying? How does the path of the four dignities operate and permeate our lives? Is there anything about the Shambhalian view that is different from the profound wisdom of Gyalwa Gotsangpa who teaches illness as path? Can’t we view Shambhala as path, wisdom as path and let illness or regret or confusion be details that fall away like gentle rain? Either way, aging presents a time to reach out to others, to drop our arrogance and to listen with more than our ears. The Shambhala Online presentations in January are intended and offered to get the ball rolling on gathering support for those of us who are in the later stages of life. Where shall we live? Where shall we practice? How can we help? I once asked Khenpo Tsulrim Gyatso what to tell the old and the dying. He said, “Tell them there is no birth or death.” And now Sakyong Mipham Rinpoche has written a practice, The Armour of Fearlessness, for those who are about to die. But let us not wait. Let’s take off our well-defended fear and put on our armor of fearlessness. Let’s find the way to support the warriorship of our aging. Ann Cason is a pioneer in bringing the principles of mindfulness, compassion, and upliftedness into the care of elderly people. Her book, Circles of Care (Shambhala Publications) is an innovative exploration of the issues involved in working with old age. Her insights come from professional and personal experience. 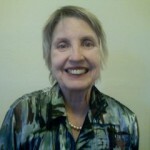 She is a geriatric care manager based in Portland, Oregon and is a member of the Shambhala Working Group on Aging. Thanks for the helpful ideas, Ann. How do we acess this teaching? As a frail 73-old Shambhala Buddhist, I look calmly at dying as merely being part of living – yet I find persistant mental resistance to the former, no matter how much I practice. I feel there is something missing in my view that is blocking acceptance of the truth/Dharma that birth and death are just stages of living. A good introductory article, Ann, and excellent questions to contemplate. The Song of Gyalwa Gotsangpa On the Practice of Illness can be found on the web. I have a translation by Michele Martin, but if you go to The Chronicles web site, you will find the one that Jonathan Eric used during his illness. I tried telling an old woman who asked me about dying that birth and death don’t exist at all. “Yes,” she told me. But that is hard to understand.